With a number of leagues back underway, the brief off-season for Counter-Strike Global Offensive is behind us and we are inundated with matches once more. The most interesting league for many of us comes in the form of the third season of the popular ESL Pro League which boasts a staggering prize funds and the inclusion of virtually all of the world’s top teams across its European and North American divisions. While the first two seasons of the league saw the European segment play out more or less as expected, North America proved to be a minefield as top teams struggled against rosters that were little more than mixes and teams with virtually no tenure rose to the top. Never was this more apparent than in Season 2 when the darlings of NA CS, Cloud9, failed to make the offline finals with a disappointing 6th place finish in the regular season while ex-member Shahzeb “ShahZam” Khan’s Conquest roster exceeded all expectations with a top three finish. With the great American shuffle during the off-season producing some of the most inexplicable roster changes in recent memory, Season Three promises to offer up even more thrills, spills and upsets than the first two seasons combined. North American Counter-Strike is notoriously inconsistent and difficult to predict, especially online. It would perhaps be prudent to avoid placing bets on any of the teams competing until we have seen the conclusion of the first week or so of matches, but that does not stop us from looking at some of the biggest storylines coming into the season, of which there are many. In this first article we will look at the non-North American rosters and teams with recently imported foreign talent: Renegades, Team Liquid, Luminosity Gaming, NRG eSports and complexity. Although they are not favourites to win the whole league by any stretch of the imagination, Renegades offer up one of the most interesting and appealing stories across both the North American and European divisions of the league. The Australian roster has risked everything to make it big in Counter-Strike, uprooting their entire lives to move to North America and pursue their dream. This season will be their first chance to prove that their decision was the right one and that they are capable of competing with the best of the best. Nothing short of qualifying for the offline finals will be acceptable. Recent results have certainly not been promising and their strong performance at Gfinity Spring Masters 2 when they were still Vox Eminor is now just a distant memory. The culmination of these poor results came at IEM Taipei, which doubled up as the Asian Minor for the MLG Columbus major, where they went 0-3 in maps to inexperienced Mongolian team TheMongolz. While second place at the event was enough to clinch a spot in the MLG Columbus offline qualifier, only first place secured a position at IEM Katowice. Following the event long-time member Luke “Havoc” Paton was released from the team in favour of Karlo “USTILO” Pivac. How this roster change will play out in the long term is yet to be seen but their 2-0 victory over Enemy in their debut outing was certainly an important one. However, the result may well have been different if not for Yaman “yam” Ergenekon’s stunning 42-14 performance on Train in just 28 rounds. Of all the teams in the North American section of the ESL Pro League, Renegades is surely the biggest unknown quantity. Their new home should offer them better practice conditions than ever before so the opportunity to improve immensely throughout the season is certainly present. A top four position and qualification for the offline finals should be within their ability and being Australian may just mean that they can escape the North American curse of inconsistency. If you’re looking for a safe bet in the early stages of Season 3, look no further than the Brazilians of Luminosity Gaming. Gabriel “FalleN” Toledo’s team has gone from strength to strength since their move to North America last year and they are now a legitimate contender at international events and a top 5 team in the world. Marcelo “coldzera” David has emerged as one of the brightest talents in Brazilan Counter-Strike since FalleN himself burst onto the scene in 1.6 and the recent addition of Tacio “TACO” Filho and veteran player Lincoln “fnx” Lau to the roster has propelled the team to a whole new level. Luminosity’s recent run of top finishes at international events has led to many people looking upon FalleN as one of, if not the, best in-game leaders in recent times. His road to his current position, in which he quite literally rebuilt the Brazilian CS scene, has captured the hearts of many, and the rags to riches story of the entire roster makes Luminosity one of the most popular teams in Counter-Strike and one that virtually everyone wants to see succeed.
.@LG_FalleN is the best in-game leader in the world. With the seeming collapse of Cloud9 at the end of 2015 and aspects of uncertainty surrounding most other teams that could prove to be stiff competition, the stage is set for a dominant season for Luminosity and anything less than a first place finish will be seen as a failure. While everyone around them floundered during the off-season and the accompanying roster changes, Team Liquid made a move that set the imaginations of everyone alight with the acquisition of the brilliant and ever controversial Aleksandr “s1mple” Kostylev whose ESL ban was only recently lifted. The young Ukrainian has often come under fire for his talk first, think later approach to life which has landed him in trouble on more than one occasion and seen him removed from teams. However, nobody can deny his talent. If Team Liquid can harness his attitude issues, the sky is the limit for s1mple and his addition to the team could prove to be one of the best roster moves in Counter-Strike history. This could be easier said than done, however, as the outspoken youth has already struggled to keep his discontent with his new equipment from team sponsor Razer from showing during his streams. There are other stars on the team, though. Nick “nitr0” Cannella ended 2015 as a top 5 player in North America by most people’s estimates while Spencer “Hiko” Martin proved that he remained on top of his game despite his hiatus after departing from Cloud9. The biggest question mark hangs over the team’s captain, Eric “adreN” Hoag, who struggled to prove his worth in 2015 with a number of dismal performances. Team Liquid ended 2015 as the best team in North America in most pundit’s eyes and despite dropping a map to complexity in their first outing with the new roster, the cards are set for them to retain that title in the early stages of 2016 and be the only real challenge to Luminosity in the ESL Pro League. 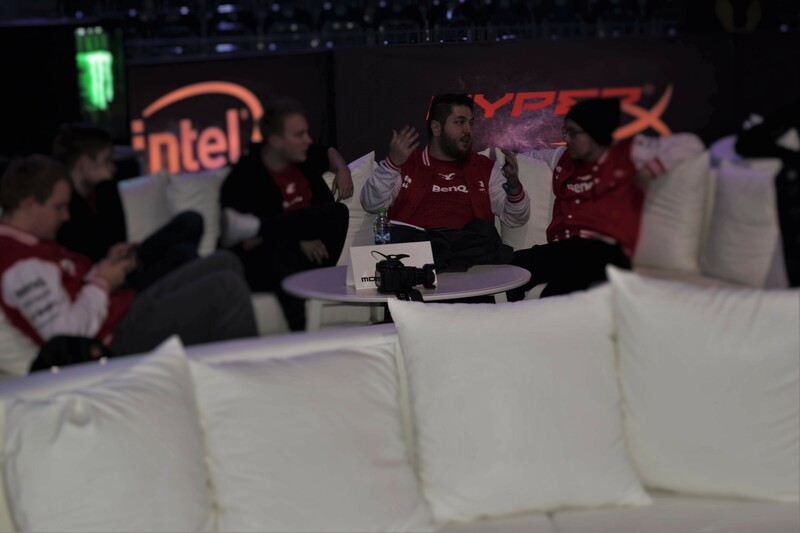 The future of Fatih “gob b” Dayik was uncertain after his departure from mouseports where he had been the in-game leader since his return from retirement and few foresaw his move across the pond to join NRG eSports alongside fellow mousesports outcast Nikola “LEGIJA” Ninic. A veteran of CS 1.6 and the German Counter-Strike scene, gob b is widely regarded as one of the best in-game leaders in the game’s history and most recently helped mousesports to reach a level that they had struggled to achieve previously. LEGIJA is less storied but has been used as a coach for North American teams in the past so there is clearly potential for the European duo to help NRG eSports become one of the most tactical teams in a region starved of strong in-game leaders. Unfortunately, what these two veterans can offer in terms of fragging potential is rather questionable as they have failed to impress in previous line-ups; admittedly against stiffer opposition. Whether the other members of the team will be enough to make up for the lack of raw talent is certainly questionable but keep an eye on NRG eSports and don’t underestimate them, gob b has a proven history of turning fairly plain rosters into powerhouse teams. Despite this, it is likely that we will see NRG towards the bottom of the table come the end of the season. The addition of British player Rory “dephh” Jackson to compLexity’s new roster went largely unnoticed by many but the relatively unknown player will have the hopes of a nation on his shoulders as the entire United Kingdom hopes to see him prove that the UK scene isn’t totally useless. Whether dephh can impress in the long run is yet to be seen but his initial outing against Liquid was promising and he is sure to be highly motivated to prove that he deserved the big break that the coL organisation has given him. The sources of greatest interest on the coL roster come in the form of FPL star and highlight machine Daniel “roca” Gustaferri and arguably the greatest North American player in Counter-Strike 1.6 history, Danny “fRoD” Montaner who makes his much anticipated return from retirement in the hopes of regaining his world-beating form of old. The potential of roca has long been evident but his stock has certainly risen thanks to the introduction of the NA FPL where he has had the opportunity to display his insane individual skill on numerous occasions. The mission for the young star now is to put that talent to work in a truly competitive environment as part of a team. Just what compLexity is capable of achieving in their first season as a team is unknown but their first match of the season saw them splitting maps with Team Liquid, something that few would have expected beforehand. A mid-table finish with some wins over the teams at the top would probably be seen as a successful return to Counter-Strike for compLexity Gaming. Imported talent has never had a bigger role in North American Counter-Strike and is likely to overshadow the home favourites for most of the season but there are some big brands that will be looking to do everything in their power to prevent that. In the next instalment we will look at the teams representing some of the biggest, most popular, eSports organization’s on Earth: Cloud9, CLG, TSM, OpTic Gaming.